Women's shirts are a slim "babydoll" style shirt, petite sizing, runs smaller than commonly expected! Size chart is shown above in the last photo. 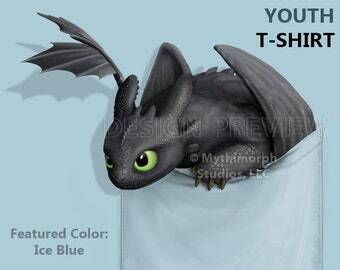 Currently comes in Silver (default), Ice Blue, Mix Grey, White, Charcoal, and Navy*. Note that Navy is an experimental color as it is darker than the black ink so the drop-shadow and pocket effect is not as visible as it is on other colors. 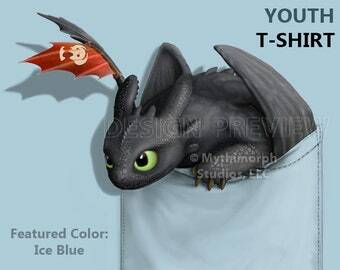 Larger sizes are also available in the unisex adult style shirts. 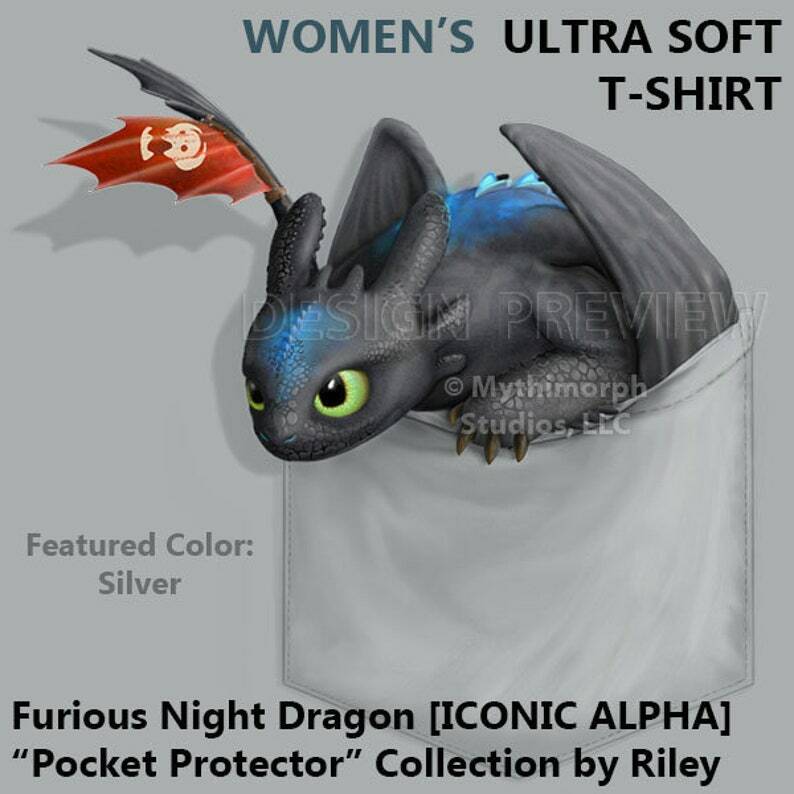 Women's T-Shirt: Furious Night Dragon [ICONIC ALPHA] "Pocket Protector"
Bought as a gift and the recipient liked it very much.